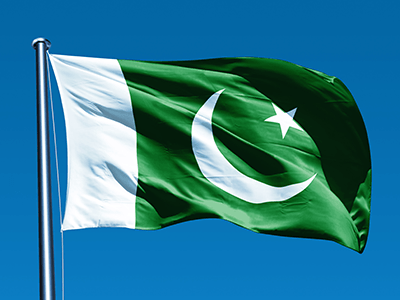 Although emerged on the face of world as an independent sovereign state in 1947 as a result of the division of subcontinent, modern Pakistan has experienced a historic journey through several distinct periods since 3,000 years B.C. The existence of a highly developed civilization in the Indus Valley and excavations at different archaeological sites like Harrapa, Mohenjodaro, Kot Diji, and Neolithic Mehr Garh have witnessed the existence of an advance civilization flourished on this land even in prehistoric times. The problem, however, is that those ruins do not tell us about everything who built them and a 5000 years old mystery still lingers. The progression of human from primitive society to the urban civilization is a fascinating history. Long after the intriguing Indus Valley Civilization, Aryans dominated this region in around 1500 B.C. and pushed the Hindu Civilization. Then approached the Persians in 5th century B.C. and occupied the northern region. Afterwards Greeks were led by Alexander the Great from Macedonia penetrated in 327 B.C. and hurried through most of the land. The prominent Muslim warrior Mohammad Bin Qasim landed in 712 A.D. in today's Sindh and ruled the southern lands for almost 200 years and introduced Islam in the region which is rooted till date. The journey of milestones continued further to the Mughal Period. Babar was the first Mughal emperor who defeated Ibrahim Lodhi, the last Afghan King at Pani Pat. His intelligent son, Humayun, then succeeded Babar but Sher Shah Suri ousted him and ruled till his death in 1545. However, Humayun returned from exile in 1554 and ruled for another two years till his death. But his son Akbar who was known as the greatest of Mughal Emperors extended his empire from central India to Kashmir. The lively examples of their art today are the Taj Mahal in India, Shah Jahan mosque in Thatha, the Shalimar Gardens, Badshahi Mosque and the Shish Mahal in Lahore Fort. British invaded the country in 1857 from the south face and reached the north. However, the British had moved in the subcontinent some two centuries ago as traders, gradually established stronghold in trade and entered politics in the guise of British East India Company. Steadily the British took over the power and land in the subcontinent and Queen Victoria's empire that time even reached to the northern remote valley of Hunza. The resolution of Pakistan propounded by Dr. Allama Iqbal for a separate homeland for the Muslims of the subcontinent was materialized by the father of nation (Quaid-e-Azam Mohammad Ali Jinnah) and Pakistan (East Pakistan now Bangladesh and West Pakistan) emerged as a sovereign state on the face of the world. The separation of the subcontinent was a difficult task because it had to be implemented within a limited period of time. Many millions lost their lives during locomotion. Pakistan was to consist of the Muslim-majority area and India was to retain the same Hindu dominated region but the problem was not resolved permanently, especially the problem of East Pakistan that became independent state in 1972. Mohammad Ali Jinnah died soon after independence and until the regime of Zulfiqar Ali Bhutto Pakistan went through some critical political and economic conditions. However, Pakistan today, after several ups and downs from inside as well as from outside, has well managed to poise itself and making headway. Today's Pakistan has once been on the crossroads of history for several millennia even dating back to world's earliest civilizations which makes this country so special. It is one of the fascinating tourist destinations stretching from the galaxy of snow dusted mountains and deep-rooted glaciers in the north to the hot and hospitable desert plans bordering Arabian sea in the south. Pakistan is a unique place for holiday makers; it is blessed with almost all the bounties of nature - its four distinct seasons interpreting a variation of natural splendor, its people having different traditional backgrounds, its colorful cities and most of all its fascinating history. Anyone visiting this country leaves back with fascinating memories. Established in 1960 by young and enterprising Mr. Sadruddin Hashwani, the Hashoo Group initially operated as a trading enterprise. Through its founder’s vision, strategic direction and unwavering commitment, the Hashoo Group has emerged as Pakistan’s premium conglomerate with a diversified international business portfolio. From its humble origins in cotton trading, the Hashoo Group business interests today span the globe and encompass hospitality, oil and gas exploration and production, information technology, investments, minerals, ceramics, pharmaceuticals, travel and tourism, real estate and commodity trading business. The Hashoo Group of Companies has in its fold, as owners and operators, the Pearl Continental Hotels and Marriott Hotels brands with presence in all major cities of Pakistan and Ocean Pakistan Limited, a prestigious Oil and Gas exploration and production company. With focus on specific sector, each company of the Group shares a common policy to explore emerging markets and opportunities to stay ahead of its competitors and sustain a leading position. The success can be attributed to a business approach which blends together innovation, excellence, integrity, service and social responsibility that defines the Hashoo Group’s core business philosophy. As a responsible corporate citizen, the Hashoo Group maintains highest level of governance, quality standards and ethical values contributing effectively towards community welfare and national development. Pearl Tours & Travels is a subsidiary of Pakistan Services Limited – owners and operators of the Pearl Continental Hotels in Pakistan- is in the business of handling both domestic and inbound tourists in Pakistan for over a decade now. The company operates in all major cities of Pakistan, has to its advantage a reasonable ground handling infrastructure available from within its Group companies thereby reducing its reliance on outside services. The staff at Pearl Tours has been associated with the travel and tourism industry for many years and is fully qualified and competent to handle tours projects of any magnitude. Pearl Tours, therefore, offers custom designed itineraries to extend to you not only a unique experience but at the same time the best in services and conveniences the area can offer. The destinations are indeed the most fascinating regions in terms of what they reflect for their history, nature, culture and adventure. While the scenic beauty in the Northern Areas of Pakistan is simply awesome, the country’s Southern region is equally fascinating for the grandeur art and archaeology. For centuries historians have written about its ancient civilization that has stood the test of time. Keeping in mind the capabilities of its competent staff; the scenic destinations, fascinating ancient monuments, cultural variations, languages & dialects, flora & fauna, and even much more that the country has to offer than what tourists expect to explore, Pearl Tours is the right place to make it happen for you. At Pearl Tours we are committed to extending our unique blend of services across the country to materialize your dreams.